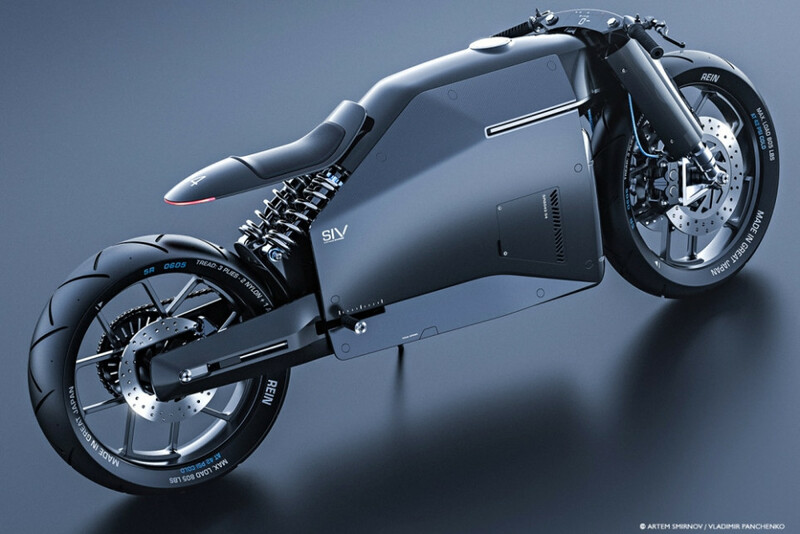 What does the motorcycle of the future look like? 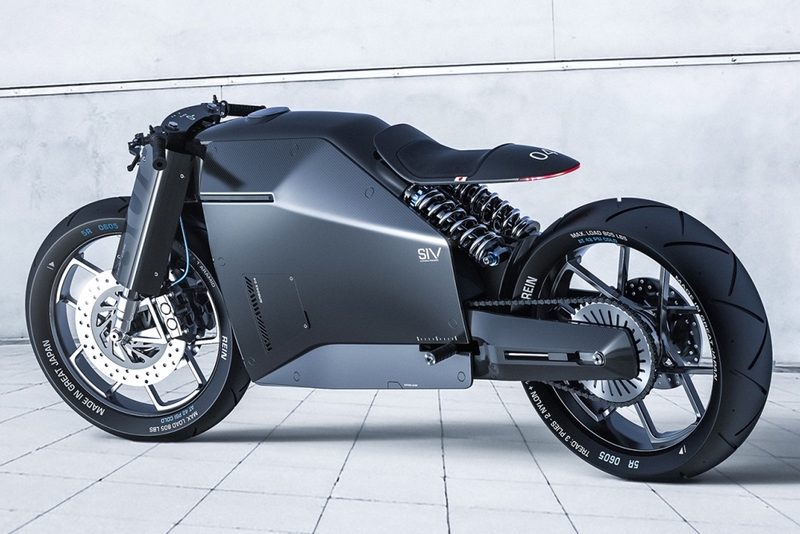 Designers Vladimir Panchenko and Artem Smirnov, known as Great Japan, have created a futuristic motorbike concept that takes a Japanese approach to design, with some very original features. Great Japan say that simplicity and a sense of space are recognized in the industrial design of Japanese brands but rarely used in the design of Japanese cars and motorcycles. 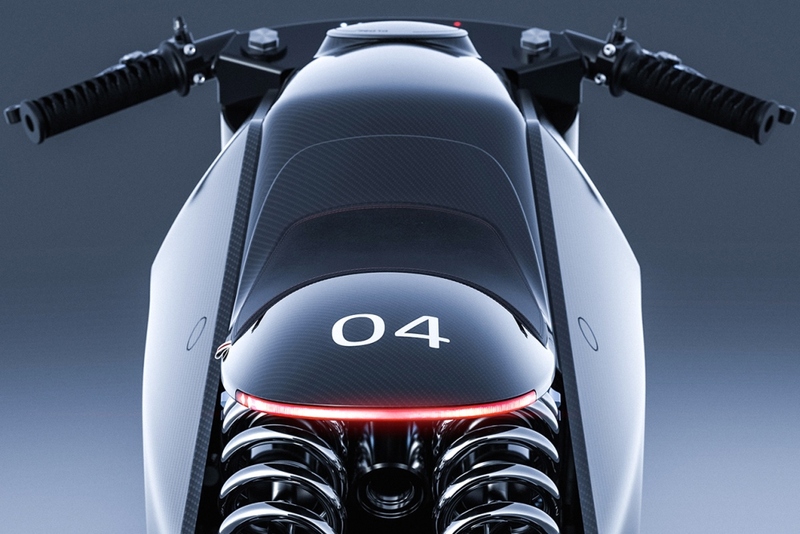 The motorbike takes these as inspiration, departing from traditional appearances and offering a glimpse at a new genre of motorcycle design. 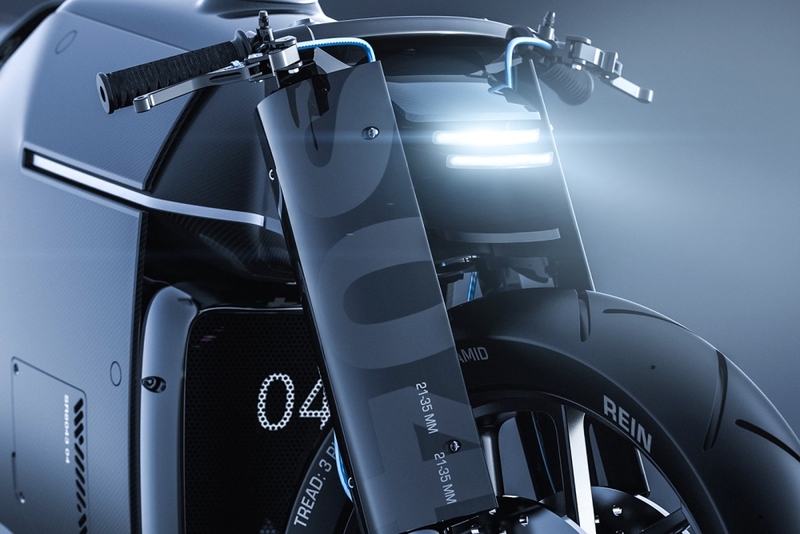 Though a full carbon fiber bike would likely command an extremely high price in a consumer model, cues from this concept could trickle down into other mass-produced products.